Perot Museum of Nature and Science celebrates the “summer of the dinosaur,” as their highly anticipated Ultimate Dinosaurs exhibition makes its Texas debut. The museum offers discounts and extended hours to all new dinosaur-themed exhibits, programs, events, films, camps and activities this summer. Opening June 23, Ultimate Dinosaurs will put guests eye to eye with 20 exotic dinosaur species from the other side of the world, with cutting-edge technology that will “transport” them to prehistoric times. Not the typical T. rex and Triceratops that most know, these unique dinosaurs were fierce with gigantic skulls, crocodile-like faces and exotic features. Highlights will include full-sized skeletons, plus life-sized video projections of the creatures, interactive games, augmented-reality viewers and much more. Community Partners Ticket Program returns this summer offering $1 general admission for guests who qualify based on need and $1 admission to Ultimate Dinosaurs. Plus, active-duty members and veterans of the United States military, law enforcement officers, firefighters and paramedics/EMTs can enjoy free general admission and discounted admission for family members from the Friday of Memorial Day weekend through Labor Day. Pre-K through 12th grade educators from Texas and adjoining states enjoy complimentary admission year-round. The “summer of the dinosaur” kicks off Memorial Day weekend (May 25-28) with special holiday weekend activities including summertime sand slime, erupting watermelons, shark dissections and more; patriotic discovery bottles, hurricane exploration and art activities in the Moody Family Children’s Museum; plus extended summer hours through Sept. 3. For information as the Museum unearths new dinosaur sights and experiences throughout the coming months, visit perotmuseum.org/summer. ULTIMATE DINOSAURS (June 23-Jan. 6, 2019). Based on groundbreaking research from scientists around the world, Ultimate Dinosaurs reveals rarely seen, exotic species from the other side of the world. 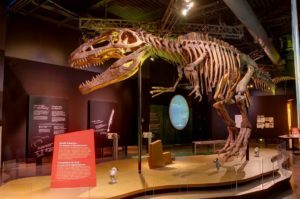 From the tiny Eoraptor to the massive Giganotosaurus (T. rex’s bigger, badder cousin), the exhibition is a fascinating introduction to dinosaurs that are unfamiliar to most North Americans. Presented locally by Highland Capital Management, Ultimate Dinosaurs tells the story of the break-up of supercontinent Pangaea into today’s continents and the amazing diversity of dinosaur species that evolved as a result. 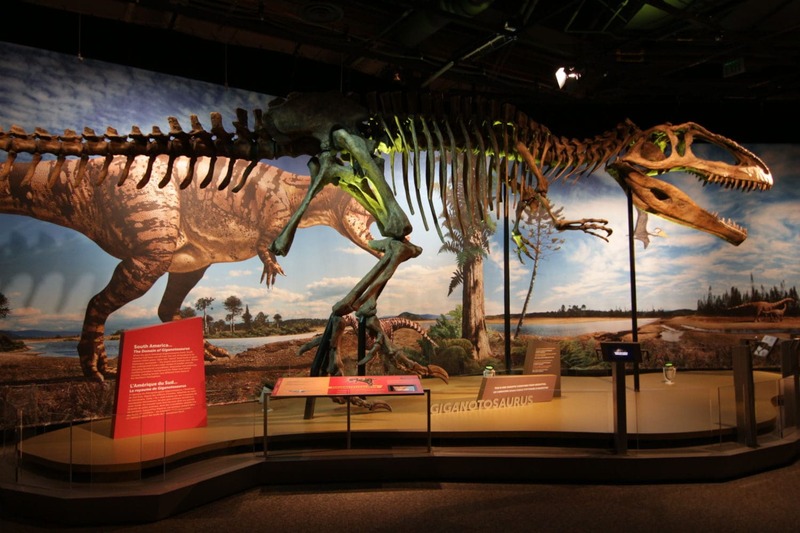 Highlights include 15 fully articulated dinosaur casts, more than a dozen prehistoric specimens, augmented reality to experience the dinosaurs in the flesh, touchable fossilized dinosaur specimens, hands-on play spaces featuring miniature dinosaur dioramas and more. Presented in English and French (with a Spanish audio guide available), Ultimate Dinosaurs is presented by the Science Museum of Minnesota, supported locally by Hilton Hotels’ “Explore Like a Local” program and requires a surcharge for members and non-members. 3D FILMS IN THE HOGLUND FOUNDATION THEATER, A NATIONAL GEOGRAPHIC EXPERIENCE. Want to rest those weary feet after hours of exploration? Hit the pause button and catch a captivating film! The summer lineup includes Flying Monsters 3D (through Sept. 3, 2018), Galapagos 3D: Nature’s Wonderland (May 25-Sept. 3), and Museum Alive 3D (May 25-Sept. 3). To view trailers and film schedules, go to perotmuseum.org. Films are presented locally by Primrose Schools. GRAND RE-OPENING OF BEING HUMAN HALL. Fulfilling a promise to keep content fresh, relevant and exciting, the Perot Museum has unveiled its first completely transformed exhibit hall since opening five years ago – the Being Human Hall. With twice as many interactive displays, along with innovative content and experiments, guests are transported through the human journey as they explore the traits and abilities that are essential and unique to being human. Not to be missed is a preserved human brain with spinal cord intact and a virtual reality experience that puts visitors in the middle of the South African cave where researchers identified a new species of human ancestor, Homo naledi. The Chase BioLab, presented by Children’s Health, lets kids and adults alike don lab coats and safety goggles while examining electricity within a living worm, exploring wheat DNA under a microscope and more. Discover the individual quirks and traits that make you uniquely YOU. Presented in English and Spanish, the Being Human Hall is now open. PROGRAMS. From architecture tours, adult-only nights and second-Saturday Discovery Days, to week-long Discovery Camps and overnight adventures, the Perot Museum offers a slew of summer doings for all ages. Visit perotmuseum.org/summer. Previous articleBetter Hurry If You Are Coming!